Discover and explore Pula, and its three-thousand-year-old history with the help of our audio-visual guide. Take a peek into its magnificent history while listening to the professional guide. 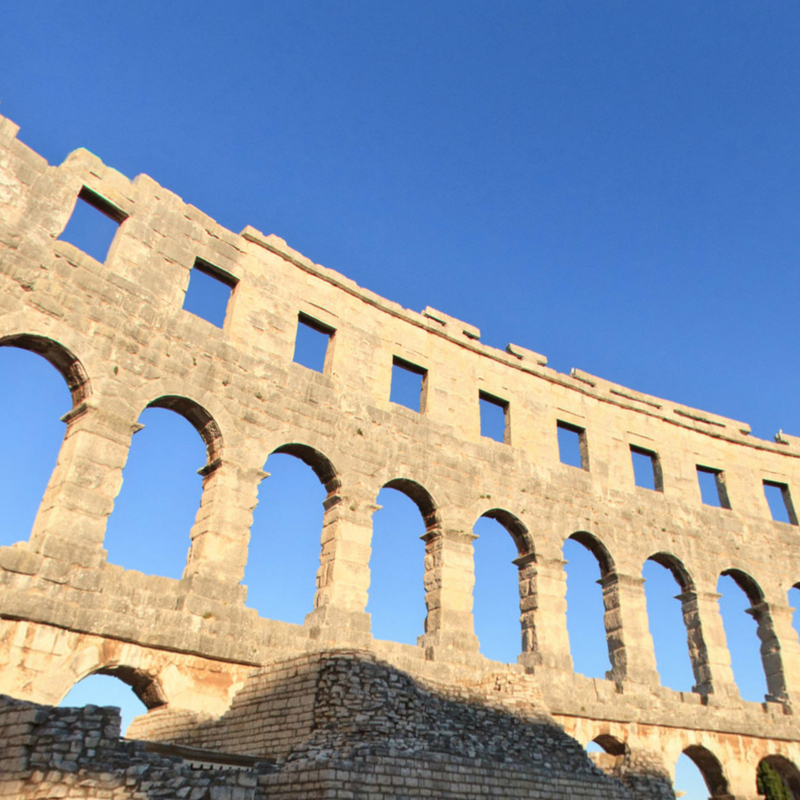 A virtual walk through Pula shows you many of its cultural monuments – the most significant among them is the Roman amphitheater – Arena. This virtual tour also takes you to Pula’s parks, one of the world’s largest amphora sites, Cathedral, Castle … Be sure to stop at the Triumphal Arch of the Sergi from the 1st century BC, Gate of Hercules, Twin Gates, Small Roman Theater and Temple of Augustus. The guide will also tell you what’s so special about the main square – Forum, show you the old city walls. A virtual walk through Pula can be just as interesting, see for yourself.